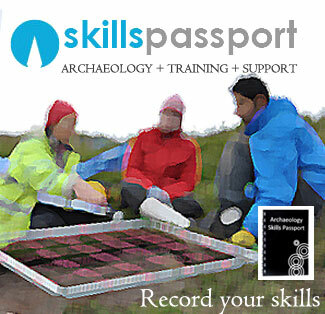 A walkover survey, looks for new archaeological features relating to the occupation or activities over a large area. Often prior to fieldwork, a series of records and resources are examined and collated, such as aerial images, old maps, LiDAR data etc. Often earthworks, walls and discreet features are recorded on a plan and logged with handheld GPS, photographs and preprepared record sheets. The idea is to investigate known sites and prospect for new, this wider survey often fits in with other land-use surveys to provide an overview of the area. PRINCIPLE: Carry out systematic survey over a large area, collecting data on sites on pre- prepared forms, photographs and sketches. Novice – understands the purpose, but needs more practice in spotting and recording new sites. Competent – Is able to work as part of a team, to record new sites, but may need some supervision. Proficient – Able to prepare the baseline data and work as part of a team to locate, record and create data for further use. Get your eye in by visiting known sites in the same environment. You can often “guess” where sites should be (flatter areas, near water etc) but do not ignore other topographic zones. Never go alone on a survey such as this, as they are often in remoter locations. Think about the end product before starting the survey. GIS mapping of your survey is a good way to visualise the landscape. When recording walls and banks for example – remember these are linear features and do not suit single points of GPS location. Try tracking the feature. You may also locate other sites using this method. Keep a record of where you have been, to ensure you can continue to survey where you have not. Muir, R. (2000) A New Reading the Landscape. Exeter: Exeter University Press. Rippon, S. (2004) Historic landscape Analysis. York: Council for British Archaeology.